Artecy Cross Stitch. 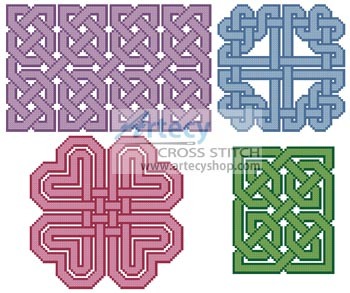 Celtic Design Collection 2 Cross Stitch Pattern to print online. Only full cross stitches are used in these pattern. It is a black and white symbol pattern.